New Delhi: The “Malaysia Fantastic Deals” package was launched today to promote more value-for-money holiday packages to Malaysia for tourists from India. 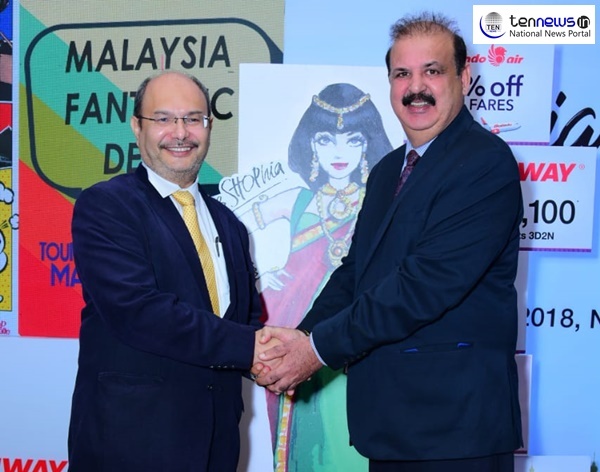 The campaign was officiated by Tuan Syed Yahya Syed Othman, Director of Package Development Division, Tourism Malaysia, and Manoj Mehta, Country Manager, Malindo Air. The initiative sees Tourism Malaysia in partnership with Malindo Air and several popular hotels and a restaurant in Malaysia to offer a total of five packages catered specifically to the India market. The packages can be purchased through selected Indian travel agents based in Chennai, Delhi, Mumbai and Calcutta. Bookings are open only from 15 December 2018 to 15 January 2019for travel to Malaysia between 1 February and 31 July 2019.